Nafisha joined mb LAW in 2011. She is involved in all areas of mb LAW’s practice but has a particular interest in litigation. Nafisha has defended many claims for cruise lines and tour operators and various other travel related clients of mb LAW. She has built up significant advocacy experience by appearing and representing defendant travel businesses in county courts across the country. She has developed invaluable experience of the approach taken by judges in travel cases and can deal with multi-various disputes faced by holiday companies on a day to day basis allowing her to provide realistic and practical advice. She is also experienced in managing group action claims involving overseas accidents and illness outbreaks. Nafisha has enjoyed working closely with Ian Hopkinson, assisting in defending complex catastrophic claims of significant value. She is experienced in bringing third party indemnity proceedings against hoteliers based in overseas jurisdictions in Europe and beyond. Nafisha is able to provide advice in respect of a variety of commercial disputes including breach of contract claims, disputes involving principal, agency and supplier contracts and copyright issues. She has also defended multi-party public liability claims dealing with occupiers and employers liability issues. 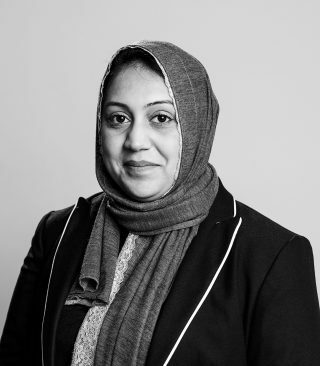 Nafisha has further acted for clients in a variety of property disputes including landlord and tenant.